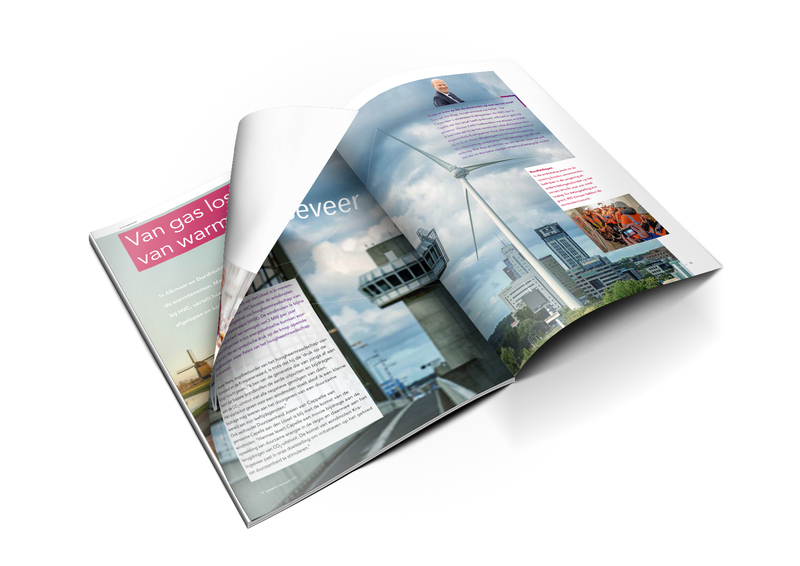 An annual report and annual magazine that meet the communication objectives of HVC. HVC provides municipalities with tailor-made solutions for the reuse of resources, waste management and for generating and supplying sustainable energy. HVC is a waste-to-energy company that helps authorities achieve their objectives for the reuse of resources, waste management and sustainable energy. They wanted an attractive annual report as well as a vivid annual magazine. A report with bright, colorful designs. Highlighted by comprehensive chapters full of clear infographics, visuals and pictograms. The magazine offers readers interesting articles and examples of reuse and energy from sustainable sources.